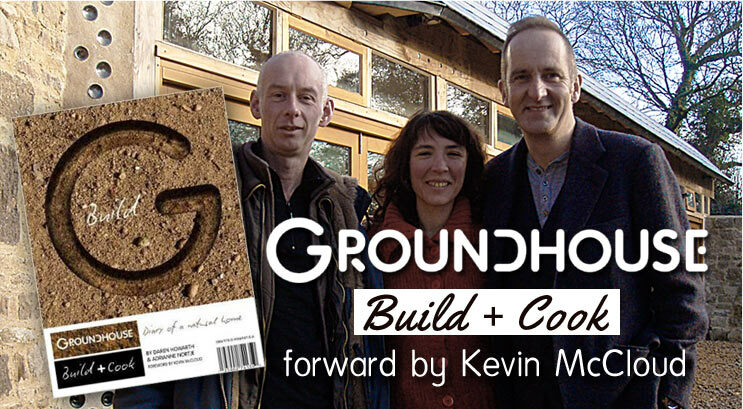 Groundhouse Build + Cook is written by Daren Howarth and Adi Nortje, with a foreword by Kevin McCloud. A totally unique book. 124 pages long, half of which is given over to the beautiful images from building and living in the Groundhouse. 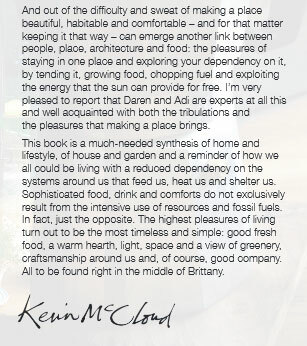 This highly illustrated ‘how to’ book is designed to inspire, showing the essence of what needs to be done to create an ecohome based on earthship biotecture – as simply as possible with the minimum of technical jargon. It’s a flip book as well. 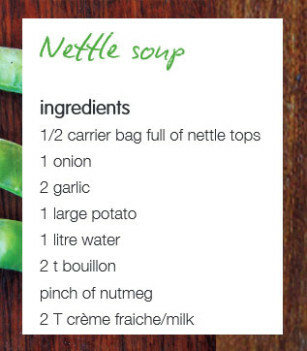 With half the book an original collection of the 30 best recipes, inspired by the people who joined us and cooked with us in Brittany.